It’s true: none of my editorial pursuits have been as sorely neglected as this blog. I’ve edited books and articles. I’ve written content and materials and articles and word games. I’ve proofread training manuals and websites. I’ve expanded my social media editing and management services. And yet here sits this blog. And that’s OK. Sometimes the cobbler’s kids LIKE to run around barefoot. Sometimes you’re so busy “kindly bringing style and order to writing” that the only “telling the tale” you do is in short snippets on Twitter and Instagram. But then there’s this! —> I’ll be heading out to #EFACon16 (the Editorial Freelancers Association National Conference in New York on Monday and Tuesday, August 29 and 30) and there will be much telling to tell! It’s the first EFA conference in more than a decade, and I have the privilege of covering it for Copyediting, one of the sponsors of the event. I’ll be telling the tale live on Twitter @Copyediting and will also be providing posts for Copyediting’s Facebook and Storify accounts. Tune in! I mean, maybe not HERE on the sorely neglected blog, but, you know, on Twitter and stuff. Current business cards. Alas, I have only the electronic version. See “cobbler’s kids” remark above. Old words demand nothing from the conscientious editor. Time has set them aside in a nice, comfortable place where they aren’t asking for our judgment or acceptance. My favorite current sanctuary of old-time words is Haggard Hawks Words. 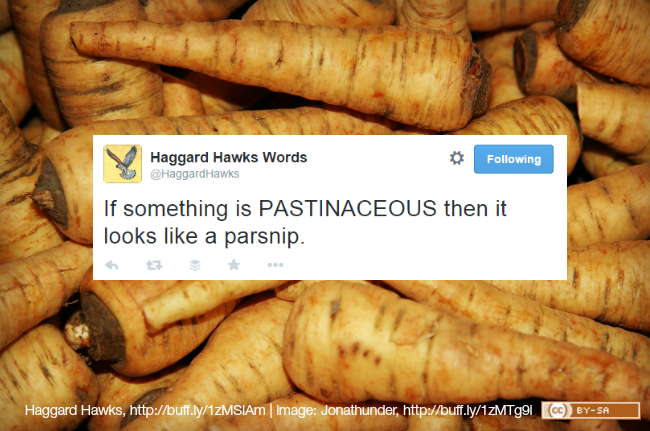 Check out the full post on Copyediting or go straight to Haggard Hawks on Twitter. I’ve seen them in the wild, and BuzzFeed’s Ryan Broderick recently rounded up a collection of them [content warning: profanity] — examples of firstable being used instead of first of all. It’s #WorldKindnessDay today. So “firstable,” I’m going to refrain from ranting or ridiculing. I rarely rant … on my blog … and genuinely try to never ridicule. My aim, as always, is to kindly bring style and order to the world of writing. 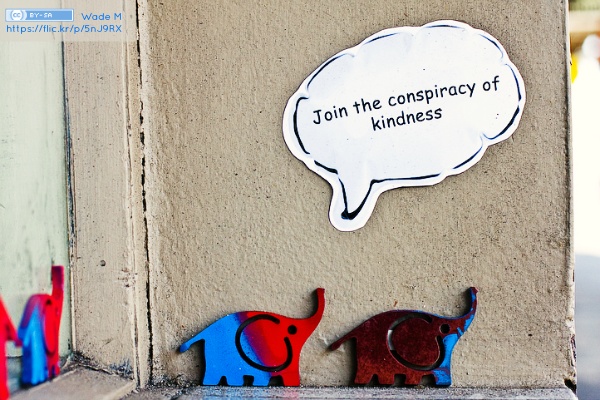 Even when it’s not World Kindness Day, I consider myself a kindness conspirator. You could HAVE used first OF ALL and would HAVE used second OF ALL, if you had known. But really, you should HAVE simply gone with first and second. Or, you could let your points stand on their own, without the unnecessary introductions. First points come first, second points come second, and people are generally smart enough to follow along. Really! Simply say what you mean, without trying to give it a grand setup or overemphasize it. You will sound less defensive and, if it helps you avoid the unfortunate firstable error, better educated. #NationalCatDay is full of squee, but #WorldStrokeDay can save a life. * And now, thanks to the wealth of cat pics on the Internet and the half-hour I stole from other projects, you don’t have to choose between the two. 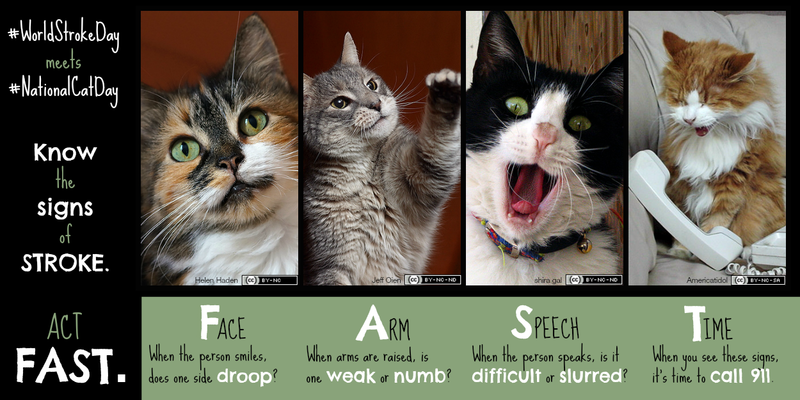 Do yourself and your family a favor: get your blood pressure checked, learn the signs of stroke, and share this graphic of friendly felines to help educate others. *This post has nothing to do with editing, but much to do with my everyday life. A couple of years ago, my mom survived a massive stroke that left her with hemiplegia and some short-term memory loss, among other more minor issues. She is an amazing and inspiring person whose story deserves to be told in full sometime. But today is not that time. Today is when #WorldStrokeDay meets #NationalCatDay. Enjoy!